Our long UV protective stretch swim shorts for girls provide UPF 50+, the highest in UV protection, blocking both UVA and UVB rays. 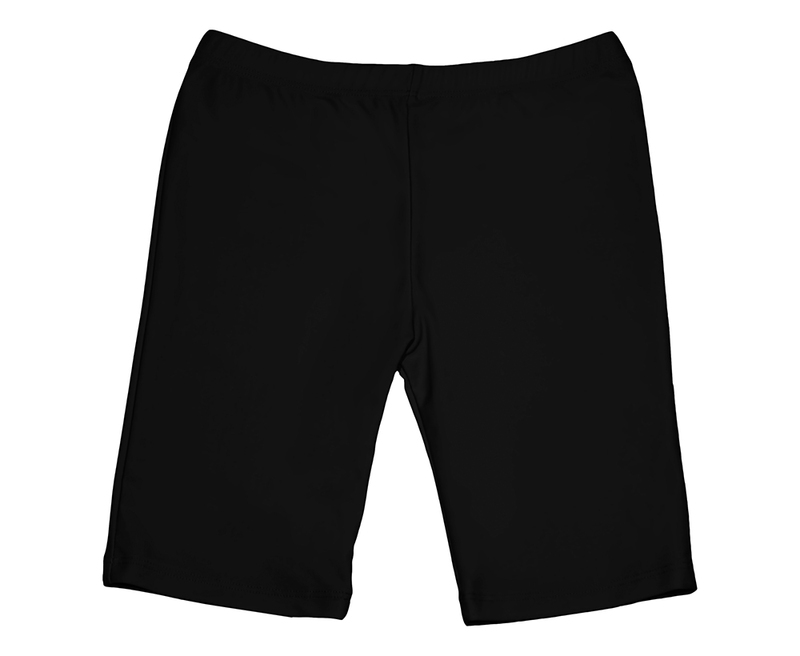 Comfortable, front lined, and non-binding four-way stretch with elastic waistband make for a secure fit during active play. Pairs beautifully with all of our girls' UV short sleeve or long sleeve swim shirts for maximum sun protection.